Sony released the original PlayStation in North America 20 years ago today. Born out of a failed partnership with Nintendo, the PlayStation quickly came to dominate the game industry. Sony has published hundreds of memorable games for the PlayStation and its various follow-ups in the two decades since, including some of the most beloved classics in the medium. To commemorate the launch of the system that started it all for Sony we’re looking back at the best games published by the company every year since 1995. Limiting our list to only one game per year means some great games and significant franchises have been left off (my editor Garrett Martin is despondent that UmJammer Lammy and MLB The Show aren’t on here), but that only goes to show how successful Sony has been as a game publisher. When Sony first entered the console business, going up against titans like Nintendo and Sega, it was important to have an explosive exclusive to cement the PlayStation’s place in the market. Twisted Metal was exactly the title they needed, and the series became a standard well into the PS2 era for Sony. 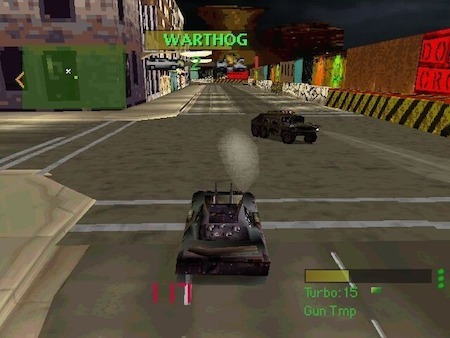 Featuring a clever mix of racing, shooting and arena combat, it was more akin to Quake on wheels than Mario Kart, and gave PlayStation owners everywhere a reason to break out the Multitap and waste away the weekend. 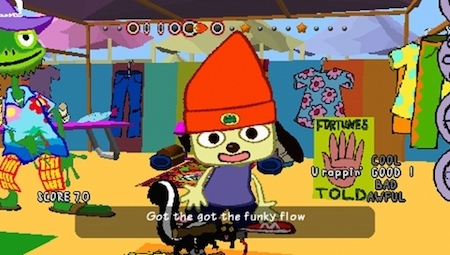 A unique experience featuring a rapping dog, Parappa the Rapper was one of the first signs that Sony was aiming for an eclectic catalogue of games. Helping Parappa win over the heart of Sonny by freestyling over a beat about kung fu, driving or a queue for the bathroom is a blast, and one of the most oddly memorable games of the PSX era. The first Crash game was great, but Crash Bandicoot 2: Cortex Strikes Back is when the series truly hit its stride. Adding Warp Rooms and developing a stellar variety of levels, Crash 2 was the platformer mascot that Sony needed, and went on to become the unofficial mascot of the PlayStation for years. 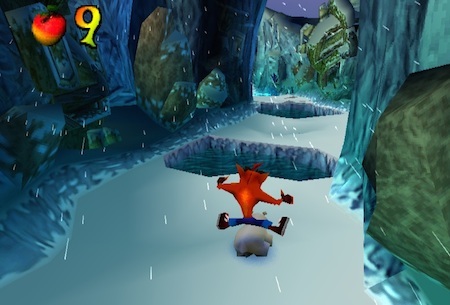 Tight controls, fun gameplay and memorable characters made Crash a standout of the early years of PlayStation. Crash was the PlayStation’s first real standout mascot, but Spyro gave him a run for his money. 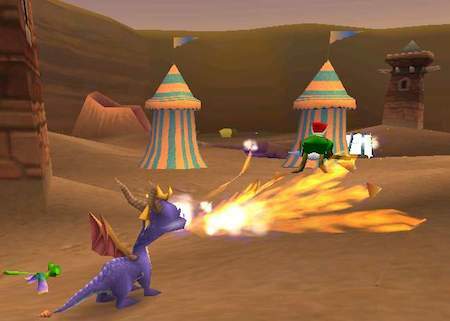 While Crash was about running and jumping, Spyro the Dragon had players breathing fire and ramming enemies off platforms. Spyro was the cheeky spitfire that added something new and interesting to the platformer experience, and solidified Insomniac’s presence on the PlayStation. I must admit, I have a soft spot for Ape Escape. It was the first game I rented with my own money, and I remember paying in cash with hard-earned dollar bills and rushing home to play it. 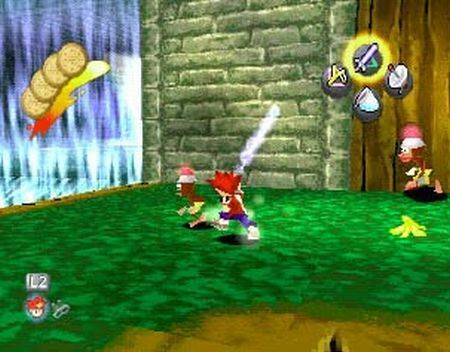 A colorful game about catching monkeys with a butterfly net, Ape Escape was quirky and weird, but its odd mix of cyberpunk technology with escaped animals wielding Uzis stole most of my early years on the system. There’s so many amazing RPGs on the PlayStation, but one often forgotten in the fold is The Legend of Dragoon. 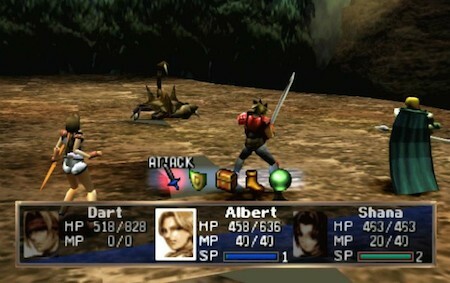 Adding real-time Dragoon Additions into a standard turn-based battle system, Dragoon created an experience that was unlike any other RPG at the time, with a story that was both epic and grounded in its characters. It was an incredible gem deserving of the recognition Sony gave it. The first PS2 title of the list is one that will stand out in many people’s memories. 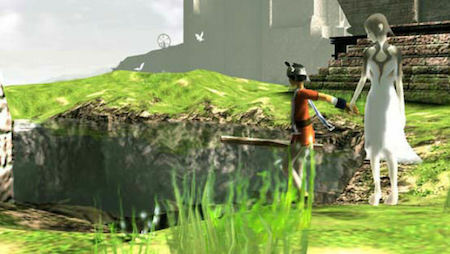 Ico, the story of a young boy and the girl he’s rescuing from a mysterious island, is a simplistic game, mostly involving platforming and basic puzzles, with a tiny splash of combat. Where Ico captured our attention was in the art style—the beautiful aesthetic, the gorgeous scenery and the unspoken yet moving story of Ico and Yorda escaping the shadows was unlike anything anyone had seen. Ico wasn’t just a great game, it was a greatly influential game that demonstrated the level of artistry that games could achieve. The ultimate in flash and thievery, Sly Cooper and the Thievius Raccoonus was a stylish stealth game that drew on the cartoon-noir look of Who Framed Roger Rabbit? to create a truly unique game. Snagging diamonds and sneaking around guards was already odd enough, but to do it as a clever raccoon with a heart of gold? Sold. Jak II was a massive departure from the original Jak and Daxter. 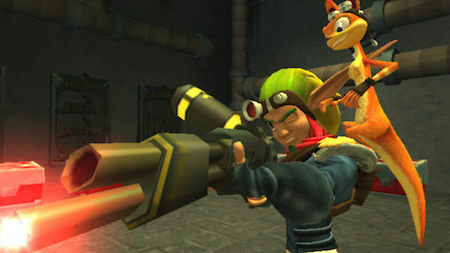 While the first game was eerily reminiscent of Naughty Dog’s work on the Crash Bandicoot series, Jak II added guns, vehicles, racing, and a greater focus on combat in addition to the series’ platforming roots. While Dark Jak is a little goofy, the overall experience of Jak II is an incredible open-world game with its feet still grounded in solid platforming and combat, joined with a great story of conspiracy, rebellion and revenge. 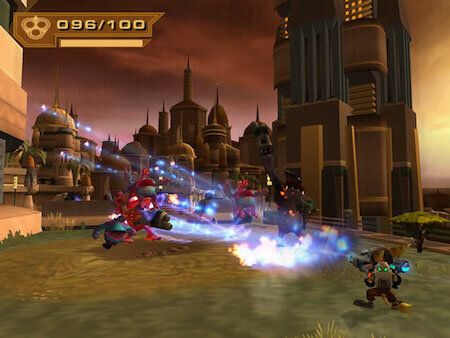 Where Jak II was the peak of Naughty Dog’s run on the PS2, Ratchet and Clank: Up Your Arsenal was the high point of Insomniac’s Ratchet franchise. Once again, Insomniac ditched the careful platforming antics for tons and tons of guns, with a bevy of upgrades and customization options. Ratchet was all about the jokes and cheer, mixed with a heaping helping of cartoon violence and explosions, and it’s no surprise that he’s already making a return to the Sony stable of releases.